"There is not a corner in Britain where this formidable disease has not made many mourners,” John Mackintosh, an Edinburgh, Scotland "man-midwife" wrote of puerperal or "childbed" fever in the 1820s. This bacterial disease of the upper genital tract typically began within the first three days after childbirth with abdominal pain, fever and respiratory difficulty, and very often ended with the new mother's death. Medical writers had been remarking on childbed fever at least since Hippocrates, but in the early modern era, it began to attract attention for a number of reasons. For one, it began to appear in epidemics, with very high mortality rates. For another, accounts of outbreaks were written about and published. And at least some of the new, scientific man-midwives themselves were spreading the disease by going straight from autopsies to the birth chambers of homes and especially of hospitals, without cleaning up at all in between. There were terrible epidemics of puerperal fever in the German city of Leipzig in 1652 and 1665, at the Hôtel Dieu in Paris, France, in 1745 and 1746, and at the British Lying-In Hospital in London, England, in 1760. It is possible that these were the first ever epidemics of childbed fever. Only one American midwife of the Revolutionary War era left a diary that has been recovered, Martha Ballard of Hallowell, Maine. It is a fairly basic document. Some entries are just a few words. Still, between 1785 and 1812, a time of incredible change in New England, Martha tended her diary regularly. In 1990, the historian Laurel Thatcher Ulrich used her own considerable knowledge of the period to connect the dots in Ballard's diary. The result was A Midwife's Tale, which won the Pulitzer Prize and other awards. It is a terrific book, and it was made into a film for PBS's "American Experience." One of the best things about A Midwife's Tale is the fact that Ulrich has given us a fully fleshed-out picture of Martha Ballard, and has at the same time retained her distinctive voice. Ballard was a religious, hard-working wife and mother who trained her daughters and other young women to assist her, understood the medicinal uses of the plants she grew in her kitchen garden, and in her prime delivered two-thirds of the children in Hallowell. The town had more than one doctor, but in 816 births over the course of 27 years, Martha called a doctor in to help her with a birth just twice. In all those years, Martha saw 19 babies and five mothers die just before, during or just after birth. While childbirth rested on a community of women when Ballard began her career, one of the tensions of the book comes out of the inroads male doctors were already making into midwifery by the time Martha died in 1812. 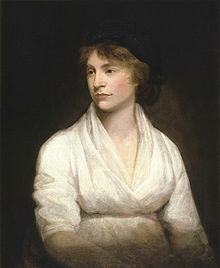 Mary Wollstonecraft, the earliest feminist writer in English, died in childbirth in London in 1797. At a time when women were bound to the home and dependent on the men in their lives, Wollstonecraft was a professional writer who had already had one child out of wedlock, and had only recently married her lover, the writer William Godwin. The birth began with a midwife of Mary’s choosing, but when the placenta would not come out, a male physician was called in and removed it surgically. Wollstonecraft died 11 days later, at the age of 38, of puerperal fever, a wound infection. At the beginning of the 19th century, women found their public voice. Wollstonecraft didn’t have an easy life, but the speed with which others followed in her footsteps reflects seismic changes. Jane Austen’s first novel, Sense and Sensibilty, was published in 1811; born in 1775, Austen was a well educated woman. The daughter Wollstonecraft bore that day grew up to marry the poet Percy Bysshe Shelley, and to write a seminal Gothic novel, Frankenstein, as Mary Shelley. 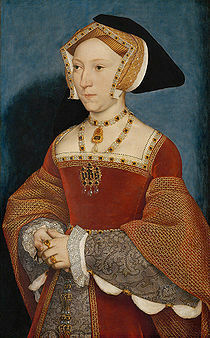 Jane Seymour, the third wife of King Henry VIII of England, was hardly the first woman to die in childbirth. However, her status as the mother of Henry's only son made her death in 1537, probably from puerperal fever, an outsize event at the time. Although she was never crowned Queen of England -- Henry perhaps withheld that honor until after she had borne him an heir -- Jane was the only one of Henry's six wives to receive a queen's funeral. Jane died about two weeks after the long, difficult birth at Hampton Court Palace of her son, Edward, who would briefly reign as King Edward VI. She was mourned by all of England, and by Henry to a singular degree. He wore black for a year, refrained from marrying again for more than two years, and was buried next to Jane -- and Jane alone -- in St. George's Chapel at Windsor Castle when he died in 1547 at the age of 55. Even though her importance to the country derived wholly from her status as wife and queen of one of the world's most powerful men, Jane's death in childbirth would reverberate through history.